Short sales have a bad reputation, but there are financial benefits you should be aware of. Short selling a property you are underwater on can actually help protect your financial future. A short sale allows you to get out of a bad investment and start fresh. Learn five pros of a short sale. If you are experiencing hardship with no end in sight, you will likely lose your property. Negotiating a short sale on your property is much better for your financial future than losing your property to foreclosure. While both foreclosures and short sales stay on your credit report for seven years, foreclosures have a much more negative impact on your credit score, interest rates and ability to get a loan. In a short sale, you still own the property. It is your responsibility to find an interested buyer to purchase your property. Your ultimate goal is to convince your lender to accept less than you currently owe on the loan. If you can get a short sale accepted and closed on your property, you can avoid losing your property to foreclosure. In a foreclosure, you are no longer the owner of the property. The lender takes possession of your property and is responsible for finding a buyer for the property in an attempt to recover whatever money they can on it. For example, you purchased a property for $400,000, but it is currently only worth $230,000. If you took out a 30 year mortgage on the property and put five percent, or $20,000 down, you have a $380,000 loan on the property. Even if you have owned the property for five years, assuming you make the minimum monthly mortgage payment, you still owe more than $300,000 on the property, which is significantly more than the current value of $230,000. Since no one would be willing to pay $300,000 for a property that is only worth $230,000, you can try to negotiate a short sale. By short selling your property, you could get the bank to accept closer to the current $230,000 value for the property. You can then negotiate with the bank to be released of the liability for the additional debt or work out a payment plan with the lender for the remaining $70,000 that is owed. In a short sale, the bank is accepting less from a new buyer than what you owed on your loan. Since you are responsible for the remaining debt owed, you should try to negotiate with your lender to get them to agree to a release of liability. This means they will not try to pursue a deficiency judgment against you for the difference between what the lender received for the short sale of the property and the amount you actually owed. It is important to get this release in writing. Even if the lender does not release you of the full amount you owe, they may be willing to hold you accountable for less than you owed. For example, if you still owed $70,000, they may be willing to accept $10,000 paid to them over monthly installments. When you are negotiating the terms of the short sale with your bank, you can try and get them to alter the way in which they report the short sale to the credit bureaus. 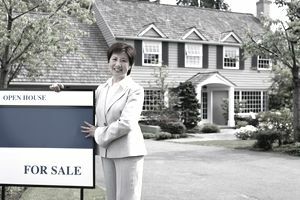 A short sale will typically be reported on your credit as a “settled” debt. Credit bureaus view this term negatively because it means the lender settled and accepted less than what was originally owed to them. The impact on your credit score will vary greatly based on if you have actually missed any mortgage payments and on your individual credit history. Your credit score could drop by as little as 40 points or as much as 200 points. Your goal is to get the lender to report the short sale as a “paid” debt on your credit report. If you can get the lender to agree to this, there will be no negative impact on your credit. Lenders may be more willing to report a short sale as paid in full for individuals who have never missed a payment and have a great credit score to begin with. If you go through a short sale and the lender has reported it to the credit bureaus, by no means will it be simple to obtain a loan for a new property. However, lenders are much more lenient when they see a short sale on your credit history than they are if you have a property that was lost to foreclosure. Every lender has different standards, but foreclosures will usually affect your ability to get a mortgage for five to seven years after the foreclosure. Short sales will negatively affect your ability to get financing for anywhere from two to three years after the short sale. If you are able to get a loan before then, you may be faced with stricter borrowing terms, such as higher interest rates. Seeking financing from private lenders is always an option as well.